Rarely available 01 unit. 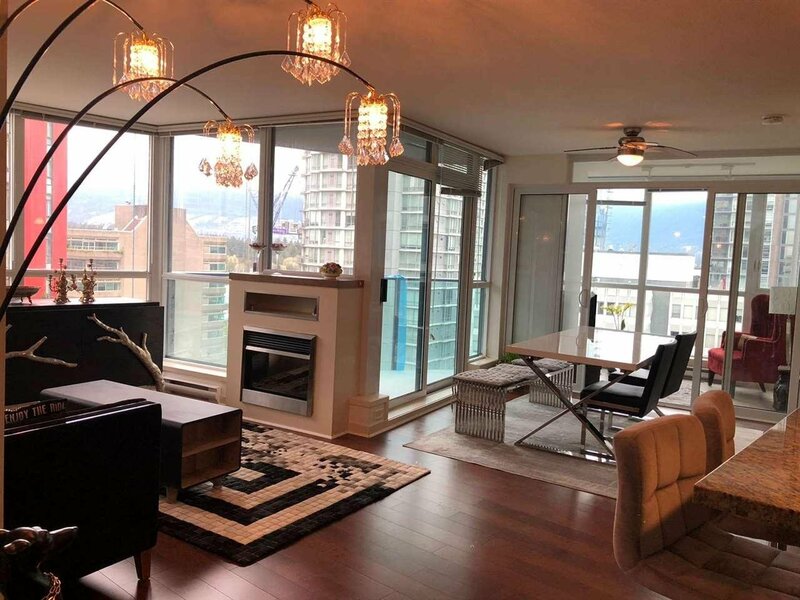 This perfectly laid out quiet and cool 2-bedroom home features: water/marina views, floor to ceiling windows, a den/flex, a solarium/office, balcony, new hardwood, spacious master with walk in closet and spa like ensuite bath, Chefs kitchen with granite countertops, full size stainless steel appliances & gas range. The Melville features a rooftop pool/sun bathing area, bbq, well equipped gym, sauna, party room/pool room & concierge. Unbeatable Coal Harbour location steps to Stanley Park, Seawall, Robson shopping/restaurants & transit. Home is pet & rental friendly and comes with parking & storage.